Winners were announced and had their work exhibited at the American Institute of Architects (AIA) 2011 National Convention and Design Exposition in New Orleans, Louisiana, May 12-14, 2011. Selected entries will be displayed on the AIA website. Read more about the winners in Mike Singer's AIArchitect article. 1st Place: Project Via Aequalitas ~ Team members: Eric Liebmann, AIA, Tim Bertschinger, Megan Shiley, Alex Taylor, and Tom Zych, all with WDG Architecture. Honorary Mention: Warp & Weft: Constructing Tokyo’s Olympic Selvedge Project ~ Team members: Nicole Marshall, Assoc. AIA, Jose Alvarez, Assoc. AIA, Marty Mcelveen, Amanda Rivera, AIA, Cristina Ungurea, Tracy Lea, AIA, Scott Simon, Assoc. AIA, and Michael Keller all with Eskew+ Dumez+ Ripple. 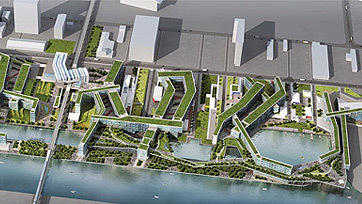 Honorary Mention: Urban Village Project ~ Stephen Zuber, Erik Maso and Suttiruck Wongsawan all of KGD Architecture. TOTO Prize for the Best Universally Designed Bathroom: Tokyo Trusswork ~ Team members: Roberto Pasini, Andrea Ranieri, Alice Ranieri, and Matteo Lucc, of the design firm AUS in Forli, Italy. 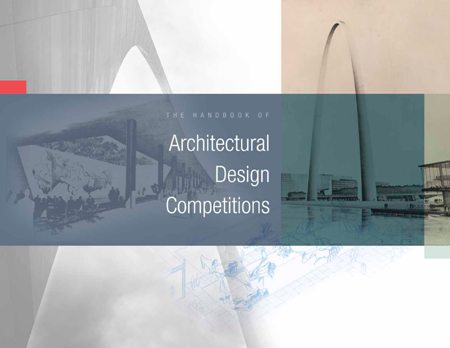 The AIA’s previous edition of the Handbook of Architectural Design Competitions was published in 1988. While not wholly outdated, that document needed to be revised in view of the proliferation of the new varieties of competition types and because competitions have become more visible and common. As architectural practice has grown to be more global and as the collaborative nature of the profession’s work has become more linear, the competition model demands a more sophisticated methodology. Download the 2010 edition.